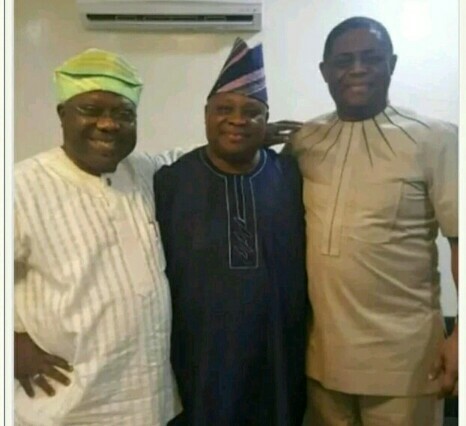 Senator Iyiola Omisore, the SDP candidate in the just concluded Osun state governorship election, is now with Senator Adeleke of the PDP who scored the highest vote to discuss on modalities on how to Win the #OsunRerun election on Thursday, 27 September, 2018. 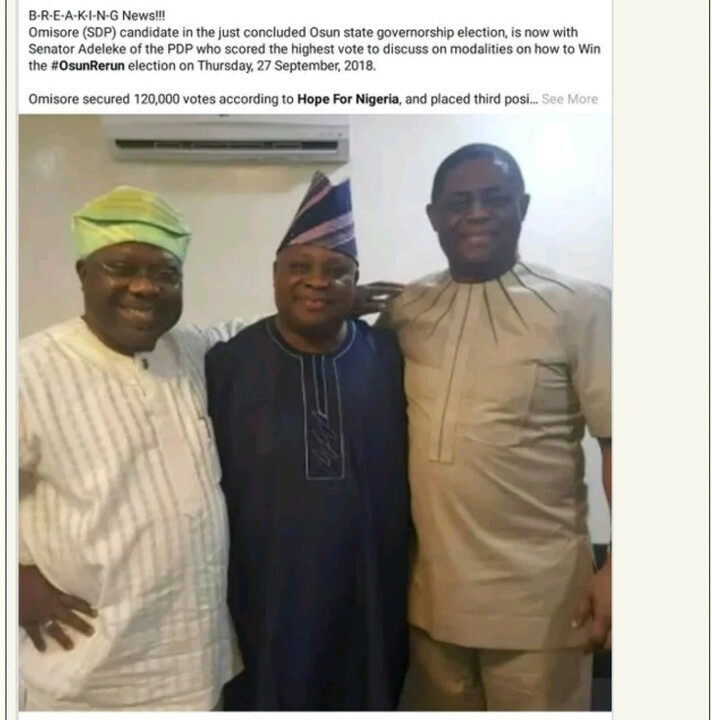 Omisore secured 120,000 votes according to Hope For Nigeria, and placed third position after the APC candidate. About 50% of the 3,498 voters going for the re-run are from Omisore's stronghold making this meeting as very strategic.